It's that time of the year again when small businesses should be doing their year-end promotions. We have a great one to share with you. Branded fudge bars from Tasha's Fudge. 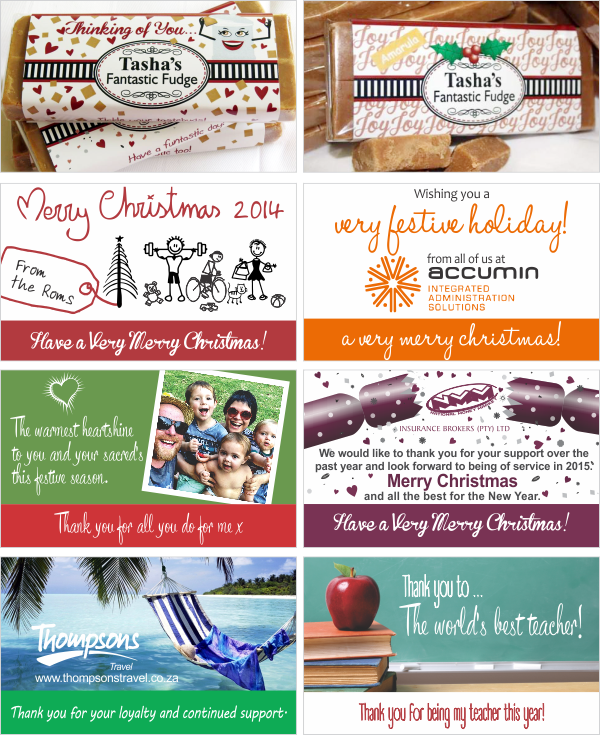 Check out these latest fudge bar wrappers we've designed for Tasha's clients. I'm sure there will be a whole lot more coming during November. So, send Tasha a message and orders yours to give your a clients a sweet holiday treat to remember you by. Super yummy!